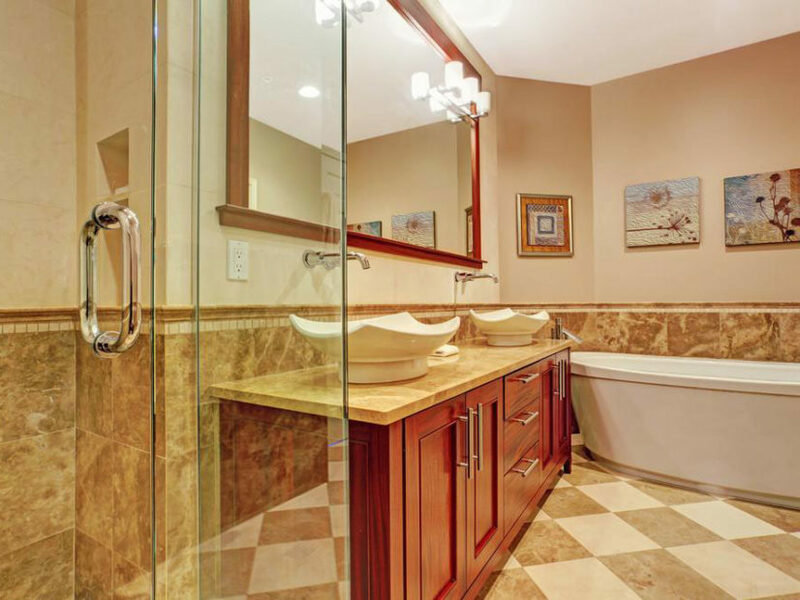 There are great options available in the market when it comes to buying a bathroom cabinet. You may spend anywhere from a few dollars and purchase a simple bathroom wall cabinet, to thousands and bring home a branded, high quality one. Some bathroom cabinets may contain an inbuilt sink while others may require one to be placed on the top of a counter. When you go to purchase a bathroom cabinet, you will come across the following significant kinds. Vessel sink bathroom cabinets– Having arrived only recently, these types of cabinets have taken the world by storm. It comprises of a vanity, on the top of which a modernized form of a sink is placed. This sink is a form of a vessel that stands out from the rest of the bathroom cabinet like a separate object. Drop-in sink bathroom cabinets – These are the most common form of cabinets characterized by a vanity that has a sink positioned inside the countertop as opposed to vessel cabinets that feature the basin on top of it. Though the designs have undergone a sea change over the past few years, their existence has not been affected at all. A similar version is the under mount sink bathroom cabinet which is almost identical to the drop in one except that the sink is placed in the underside of the vanity’s counter. Bathroom wall cabinets – In a small bathroom where floor space is pretty less, a bathroom wall cabinet works wonders. These help in clearing the clutter from the sink top by providing sufficient space for keeping different stuff. White colored bathroom wall cabinets have a soothing impact on those using the washroom. Bathroom linen cabinets – Ideal for stacking bath towels, hand towels and in some cases, laundry, bathroom linen cabinets help in keeping your restroom sorted. Other small toiletry items can also be kept on one or two shelves inside the cabinet. Fully enclosed bathroom linen cabinets fit comfortably in any cramped corner and provide the advantage of eclosing personal accessories. Bathroom medicine cabinets – This cabinet is not necessarily used for keeping medicines alone and may serve as any other regular storage cabinet. The mirrored exteriors of the bathroom medicine cabinet make the bathroom look elegant and also eliminate the need for a separate mirror. Available in recessed, surface mount and corner mount forms, bathroom medicine cabinets from different brands leave the customer spoilt for choice. If you are a cleanliness freak, you cannot ignore the benefits of installing a bathroom cabinet. It will provide a solution to your storage problems and also leave your guests impressed. Moreover, the extensive range present in the market is an absolute delight for customers.